From May 25, 2017 the long-term or short-term lease of newly beautiful renovated one bedroom apartment 2+1 (59 m2) with office room (guest room) and balcony in an attractive location of Praha 2 - Vinohrady. 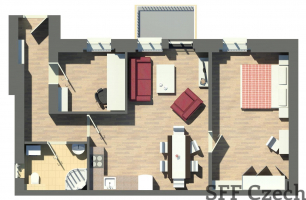 Apartment is newly furnished, with fully equipped kitchen. 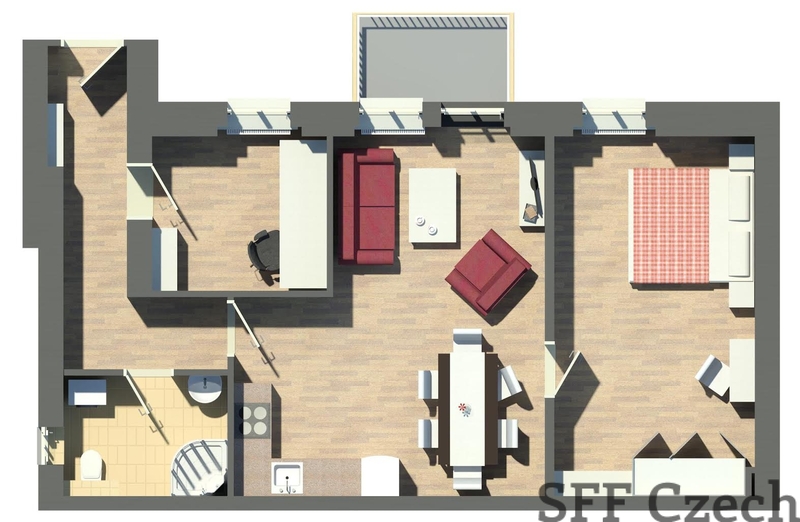 The flat situated on the 1th floor consist of an entrance hall, living room with kitchenette and dining area, bedroom, office room (guest room), bathroom with bath tub and toilet, washing machine and dryer. Other Equippment: fridge / freezer, oven, electric stove, microwave oven, electric kettle, coffee maker, toaster, TV, satellite TV, Wi-Fi, iron, ironing board, vacuum cleaner. Building is after reconstruction and has an elevator. Indoor parking available for an extra fee. 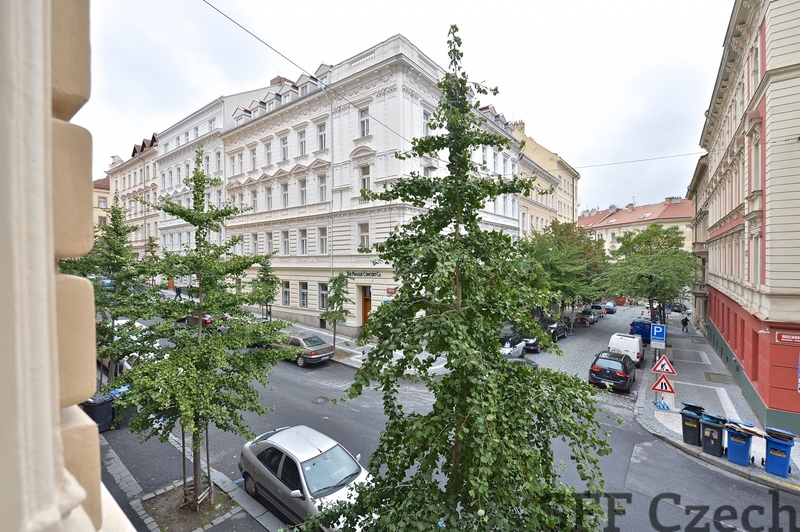 Close to tram (1 minute) and bus, in walk distance to metro – Namesti miru (4 minutes) I.P. Pavlova by tram in 3 minutes. The apartment is located close to Havlickovy and Bezrucovy Sady with excellent amenities: shops, restaurants, pharmacy, school and more. Monthly rent (one year contract): 26.000 CZK + house fixed charges 3.000 CZK + 2.000 CZK + 21% VAT / person - chargeable fees (water, electricity, gas).